Life OK was a Hindi language Indian cable and satellite television channel based in India, part of Star India, which was fully owned by 21st Century Fox. The channel launched on 18 December 2011, and is distributed in many parts of the world. The channel replaced STAR India's now defunct youth-oriented channel STAR One. The channel underwent an identity change on 28 August 2017 by replacing Life OK. The entire channel name and branding has been changed and the channel is known as STAR Bharat. 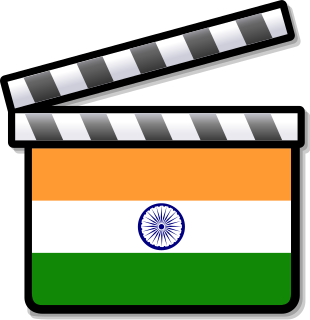 The Awards for Hindi and Marathi films, TV and non-film music are presented annually in January each year. Several editions of the awards such as the "Screen Weekly Awards", "Screen Videocon Awards", "Star Screen Awards", "Colors Screen Awards" and "Life OK Screen Awards" have thus far been presented. Until 2001, the awards were sponsored by Videocon International and hence known as the Screen Videocon Awards. For the regional cinema of South India, Screen has held three editions of the "Screen Awards for excellence in South Indian Cinema". The awards were presented for Tamil, Telugu, Malayalam and Kannada cinema. Marathi is an Indo-Aryan language spoken predominantly by around 83 million Marathi people of Maharashtra, India. It is the official language and co-official language in the Maharashtra and Goa states of Western India, respectively, and is one of the 22 scheduled languages of India. 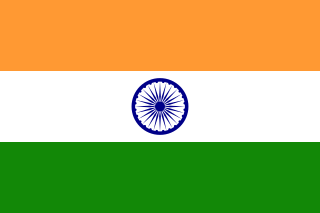 There were 83 million speakers in 2011; Marathi ranks 19th in the list of most spoken languages in the world. Marathi has the third largest number of native speakers in India, after Hindi and Bengali. Marathi has some of the oldest literature of all modern Indian languages, dating from about 900 AD. The major dialects of Marathi are Standard Marathi and the Varhadi dialect. Koli, Malvani Konkani has been heavily influenced by Marathi varieties. The Academy of Motion Picture Arts and Sciences is a professional honorary organization with the stated goal of advancing the arts and sciences of motion pictures. The Academy's corporate management and general policies are overseen by a Board of Governors, which includes representatives from each of the craft branches. The Filmfare Awards are presented annually by The Times Group to honour both artistic and technical excellence of professionals in the Hindi language film industry of India. The Filmfare ceremony is one of the oldest & most prestigious film events in India. The awards were first introduced in 1954, the same year as the National Film Awards. They were initially referred to as the Clare Awards or The Clares after Clare Mendonca, the editor of The Times of India. A dual voting system was developed in 1956. Under this system, in contrast to the National Film Awards, which are decided by a panel appointed by Indian Government, the Filmfare Awards are voted on by both the public and a committee of experts. Jaya Bachchan born on April 09, 1948 is an Indian film actress and politician. She is currently the Member of Parliament in Rajya Sabha from the Samajwadi Party, notably serving four terms since 2004. She is recognised as one of the finest Hindi film actresses of her time, particularly known for reinforcing a naturalistic style of acting in both mainstream and "middle-of-the-road" cinema. During her career, she won nine Filmfare Awards: including three for Best Actress and three for Best Supporting Actress, which makes her the overall most-awarded performer in the female acting categories, along with Nutan. She was awarded the Filmfare Lifetime Achievement Award in 2007. In 1992, she was awarded the Padma Shri by the Government of India. Fiza is a 2000 Indian action crime drama film written and directed by Khalid Mohammed and starring Karisma Kapoor, Hrithik Roshan and Jaya Bachchan. Prakash Jha is an Indian film producer, actor, director and screenwriter, mostly known for his political and socio-political films such as Damul (1984), Mrityudand (1997), Gangaajal (2003), Apaharan (2005), including multistarrer hit movies Raajneeti (2010), Aarakshan (2011) Chakravyuh (2012), and Satyagraha (2013). He is also the maker of National Film Award winning documentaries like, Faces After The Storm (1984) and Sonal (2002). The 13th Asianet Film Awards honors the best films in 2010 and was held on 9 January 2011 at Willingdon Island in Kochi. The winners were announced on 1 January 2011. The title sponsor of the event is Ujala. 1 2 "Screen Awards". Indian Express Newspapers. 2002. Retrieved 9 March 2011. ↑ "Stage set for Screen-Videocon award ceremony". expressindia.indianexpress.com. Retrieved 30 March 2018. Wikimedia Commons has media related to Star Screen Awards .